I took my first visit to Hong Kong Disneyland earlier this summer immediately following my visit to the brand new Shanghai Disneyland. Maybe it was bad timing but going from the largest Disney park to one of the smallest, it was rather unsettling. 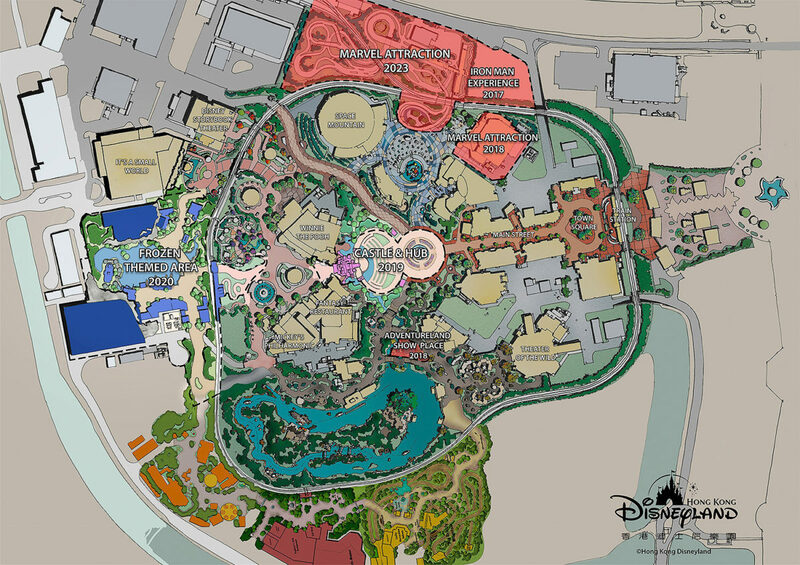 It also didn’t sit well that much of Hong Kong Disneyland’s design is a direct copy of the Anaheim original. From the train station at the entrance to Main Street USA to the iconic Sleeping Beauty Castle, there were some differences but it was mostly the same. I had to wonder if this park was made for guests who will never visit Walt’s original park in Anaheim. If so, that goal is incredibly short sighted, as Disney fans often make it a bucket list to visit every Disney Park in the world and the last thing you want is for someone to come away disappointed. 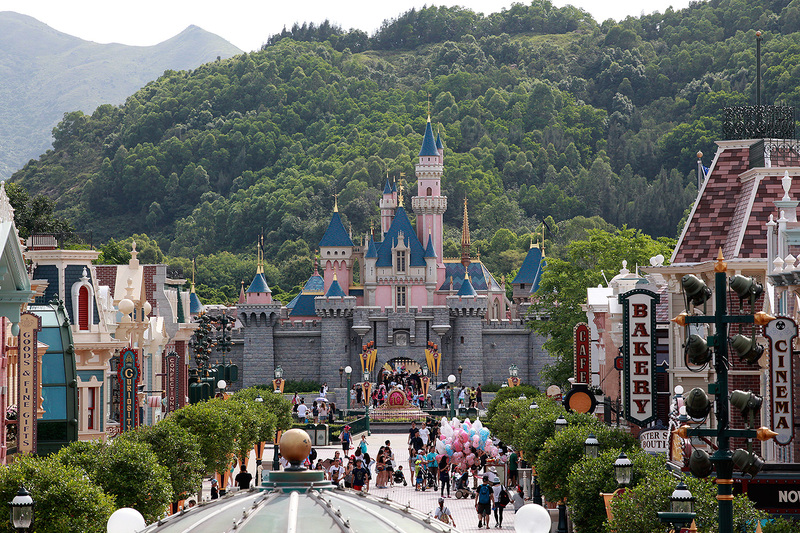 I came away quite disappointed with Hong Kong Disneyland and I wasn’t happy that I was. Sure, it’s still a charming park and has a good deal of fun for those who can’t make it out to other Disneylands, but having gone to several “Magic Kingdom” style parks already, it was lacking in originality, even if the very premise and appeal of a Disneyland type park is its sameness. With the strong exception of Mystic Manor (one of the greatest Disney attractions in the world), HKDL needed to become its own thing and SOON, and fortunately for all of us, new plans are coming. 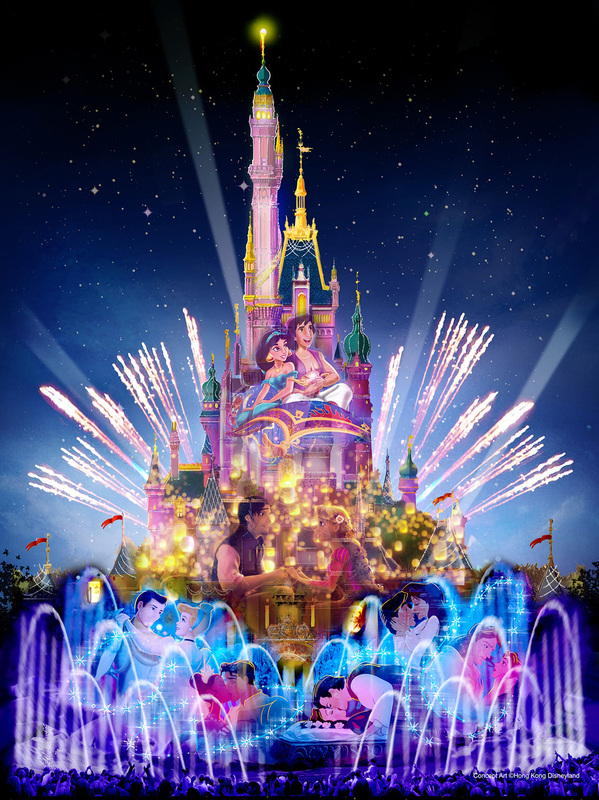 On Tuesday, The Walt Disney Company made a grand announcement of several new things coming to Hong Kong Disneyland, with new and unqiue attractions slated through 2023. This is a big deal and we’ll walk you through it. Already slated for early January, the all-new and unique Iron Man Experience occupies a slot in Tomorrowland and will take guests on a trip to assist Iron Man in saving Hong Kong. 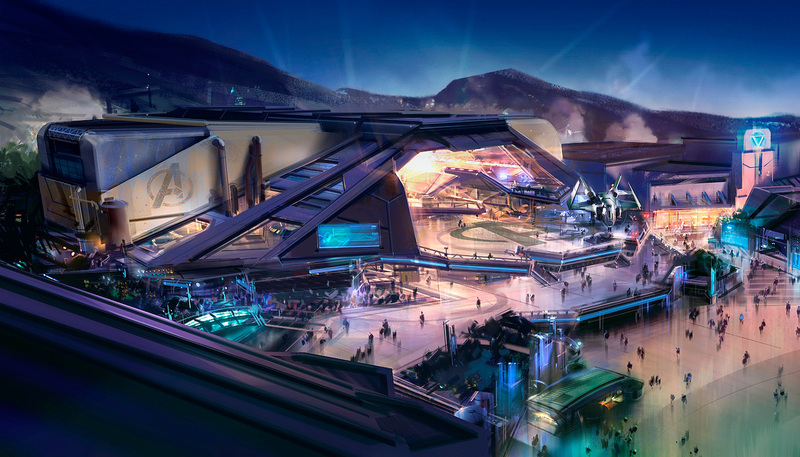 “The eminent innovator and pioneer, Tony Stark has selected Tomorrowland in Hong Kong Disneyland to host Stark Expo, where he will show off his latest high-tech creations in various exhibition halls – the Hall of Legacy, the Hall of Protection, the Hall of Energy and the Hall of Mobility. 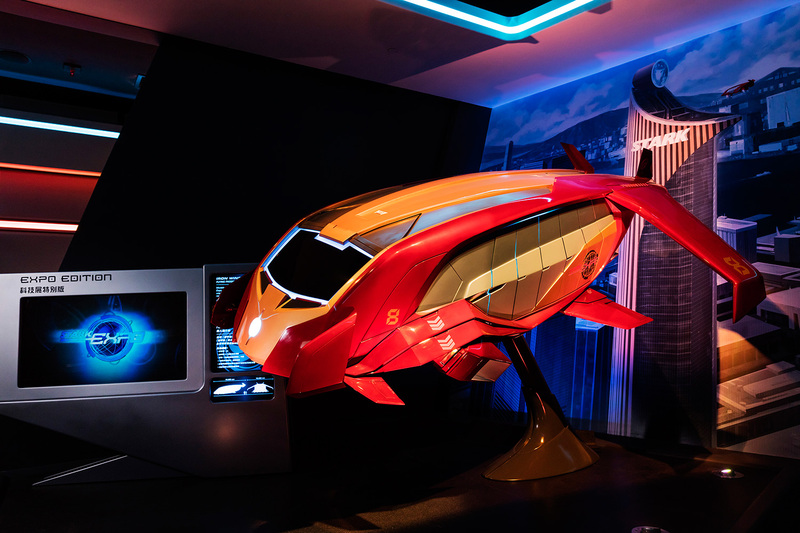 Guests will be among the first to explore Tony Stark’s latest innovations up close and fly in a gravity-defying Iron Wing flight vehicle in Iron Man Experience. He has also made Hong Kong the Asia headquarters of Stark Industries hereafter. Guests can also visit the Expo Shop for merchandise exclusive to Hong Kong Disneyland, try exclusive Iron Man themed food at a variety of restaurants, and also meet Iron Man himself among his armor at Iron Man Tech Showcase Presented by Stark Industries. 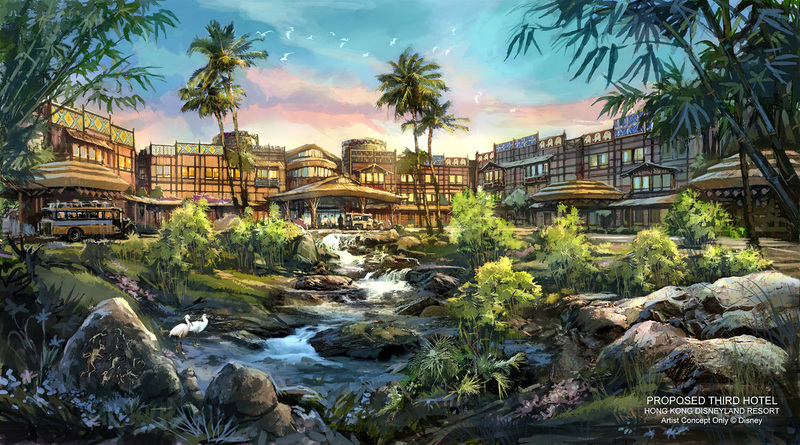 Hong Kong’s third Disney hotel will be dedicated to the spirit of exploration. Here, guests will enter into new worlds of culture, discovery, and nature, with four distinct themed areas: Asia, South America, Africa, and Polynesia. 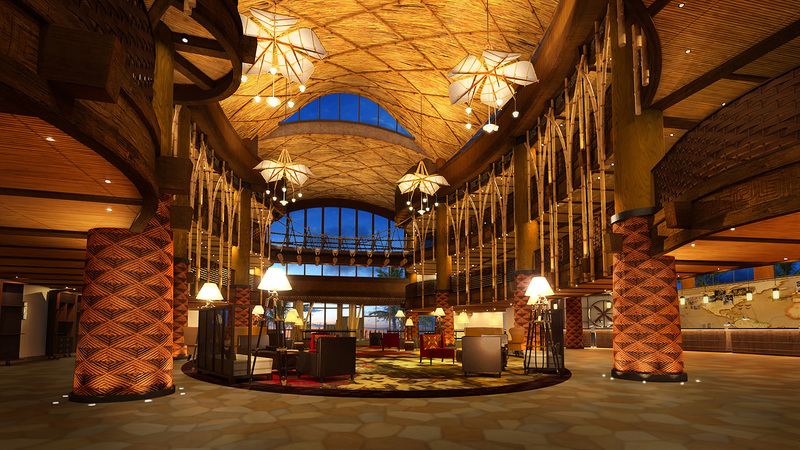 The Explorers Lodge differentiates itself from the Victorian stylings of the flagship Hong Kong Disneyland Hotel and the art deco of Disney Hollywood Hotel. 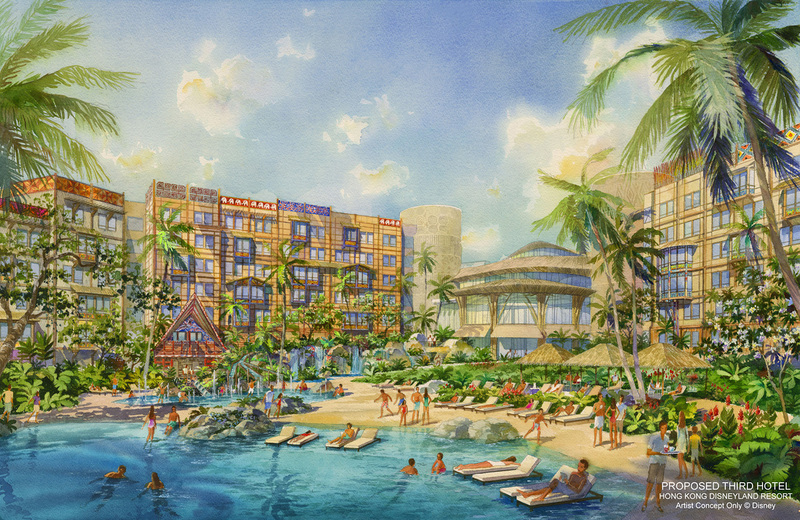 750 new rooms will bring Hong Kong Disneyland Resort’s occupancy to 1,750. 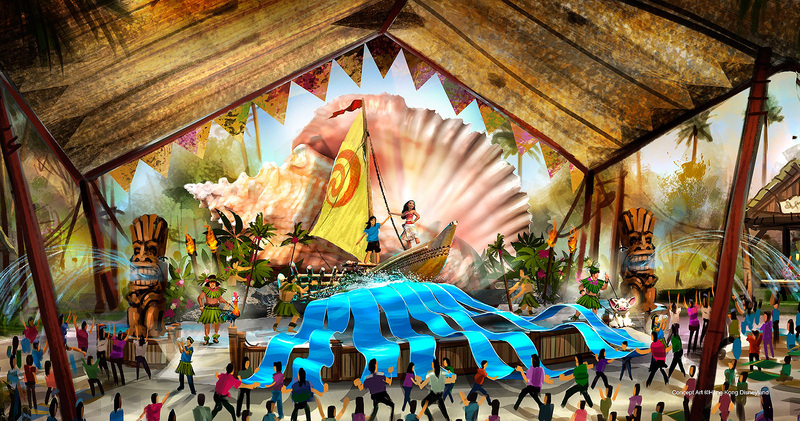 An “Adventureland Show Place”, guests are invited to meet and interact with Moana through a series of daytime entertainment offerings anchored around a lively stage show in a new interactive entertainment environment. In addition to experiencing live shows and immersive Disney storytelling, guests can meet Moana, heroine of the new Disney animated film that will be released globally starting November 2016. 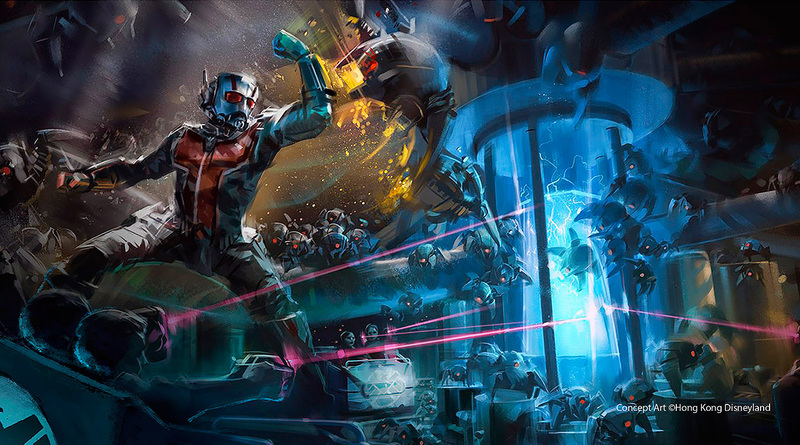 Buzz Lightyear Astro Blasters will be reimagined into a brand new experience for guests to fight alongside the icons of the Marvel Universe. Nothing else has been revealed but it should be a lot more exciting than it is now! Upon opening in 2005, the clone of Anaheim’s Sleeping Beauty Castle has charmed many but also wasn’t something original to boast about. 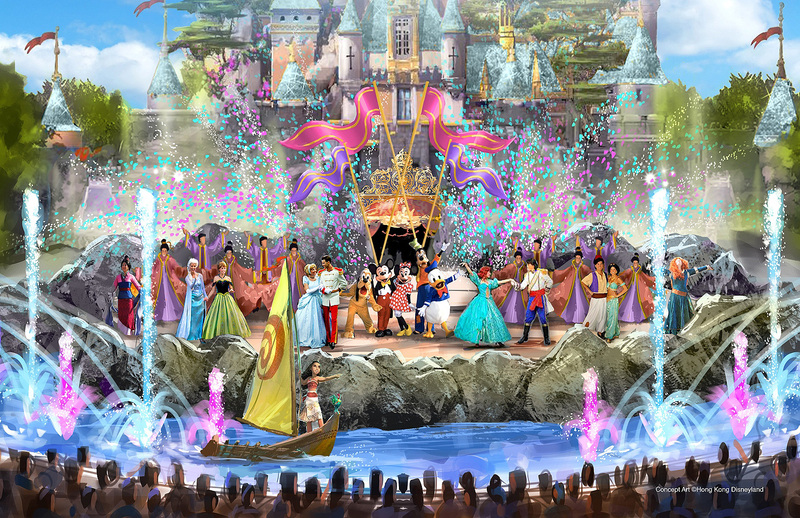 For 2019, a completely transformed Castle and Hub area to showcase brand new daytime and nighttime shows and entertainment offerings that will celebrate every prince and princess who ever wished upon a star and dared to follow a dream. Whether or not they will rename the castle is still unrevealed but this is the first time any Disney park has completely upgraded a castle centerpiece, although California Adventure’s expansion does come to mind. A first for any Disney park is an entire land dedicated to the box office hit, “Frozen”. 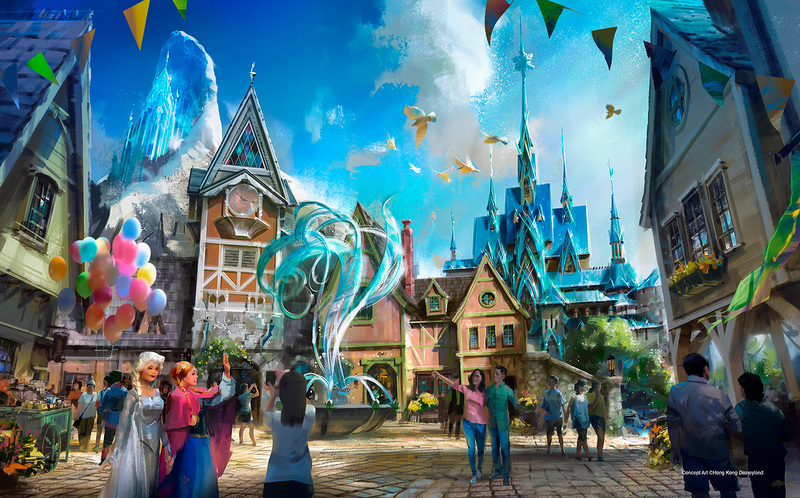 Expanding beyond the berm of Fantasyland, the exciting new themed area is a place where characters and stories from the kingdom of Arendelle will come to life in ways guests have never experienced before at a Disney park. Guests will enjoy two new attractions and be immersed in Arendelle with uniquely themed dining, shopping, and entertainment. 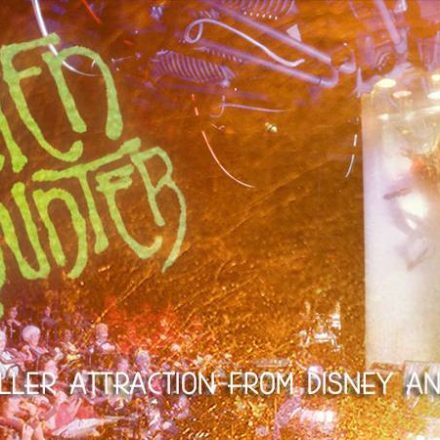 The two attractions: Frozen Everafter, similar to the new attraction at Epcot and Oaken’s Wandering Sleigh, a ride not too different from Luigi’s Rollickin’ Roadsters at Disney California Adventure will be joined with character meets as well. Not to stop at only two Marvel attraction, Hong Kong has committed itself to a massive third attraction that promises to be the biggest of them all. Taking over the area originally created for the Autopia is a thrilling adventure themed to The Avengers. 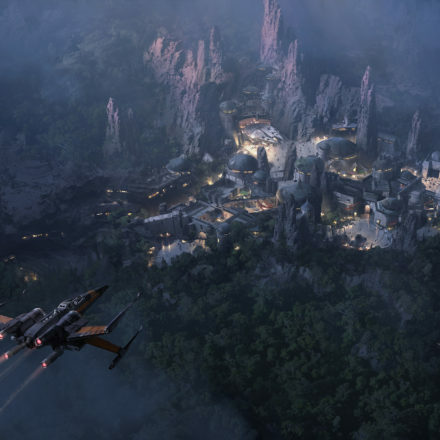 Located right next to the Iron Man Experience and 2018 Marvel attraction, this new epicenter in Tomorrowland promises to dazzle audiences with the largest commitment to Marvel in any Disney Park worldwide so far. So there you have it! It is quite the expansion and nothing short of amazing to see the growth and dedication that is going into the 11 year old park. 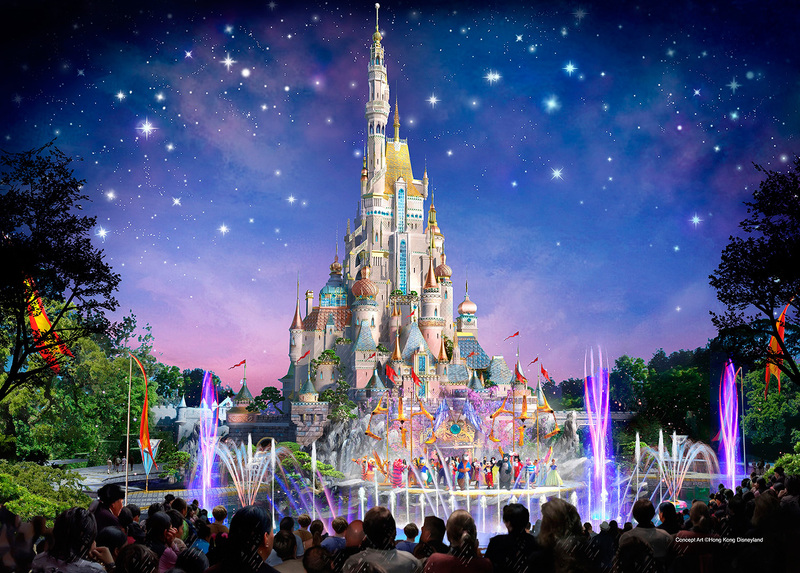 Start saving now because Hong Kong Disneyland will not be something you’ll want to miss!